The National Youth Council of Nigeria (NYCN), Kogi chapter, has urged President Muhammadu Buhari to ensure total independence for Independent National Electoral Commission (INEC) ahead of 2019 general elections. Chairman of the council in the state, Mr Oladele Nihi, told newsmen on Wednesday in Lokoja, that as the umpire for the 2019 polls, scope of INEC’s independence would determine its efficiency and effectiveness in conducting the exercise. Nihi commended Buhari for the successes his administration had achieved so far in providing security, anti-corruption fight, economic development and social welfare. He, however, urged the President to, as a matter of importance, assent to the “Not-Too-Young-To-Run Bill” to give room for more youth participation in the electoral processes. According to Nihi, democracy is all about inclusion and collective bargaining; it will take the involvement of all to guarantee a sustainable democracy. He also appealed to the President to reconsider his decision on the Peace Corps Bill, and see what could be done in order for the bill to get his assent. “The Peace Corps Bill is one which, when signed into law, possesses the capacity to accommodate thousands of the unemployed youths in the country. “The Bill will also complement the efforts of other security agencies in the fight against crime and insecurity which the Buhari government is very serious about. “We appeal that the President and other stakeholders should sit and iron out the grey areas in the Peace Corps Bill to the benefit of all stakeholders especially the youths,” Nihi said. He also commended Buhari for his recent declaration of intent to seek re-election in 2019, saying that it was a welcomed development. According to him, the President’s declaration has put to rest the speculations on whether he would run in the 2019 elections or not, which had created some form of palpable tension in the polity. “We are happy that the uncertainty has been brought to an end by the president’s decision. “What is left now is for all interested parties to return to the drawing board to strategize for the way forward and let the people decide what they want. “Although we are optimistic about free, fair and credible elections in 2019, youths must remain steadfast and avoid being used as tools to propagate disunity among ourselves. “It takes the collective effort of all of us to achieve a better Nigeria,” Nihi said. 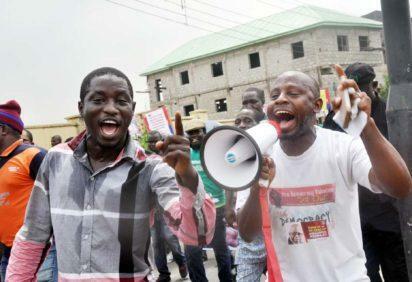 The post 2019: Kogi youths urge Buhari to ensure total independence of INEC appeared first on Vanguard News.